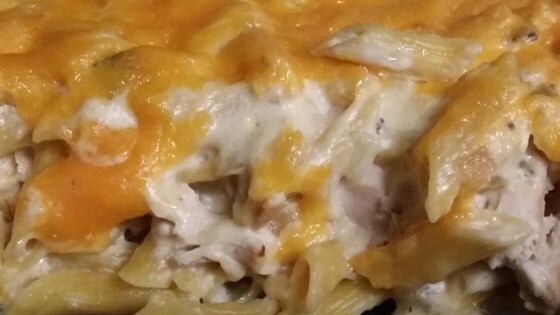 "This is a wonderful recipe passed on to me from my Dad. It is simple and delicious -- perfect for family gatherings! I usually make this dish the night before and pop in the oven the next day. This dish also freezes very well." This was to die for!! It was very rich. It could easily be made lighter by substituting low fat/fat free mayo, sour cream, and soups. Can't wait to make it again! !